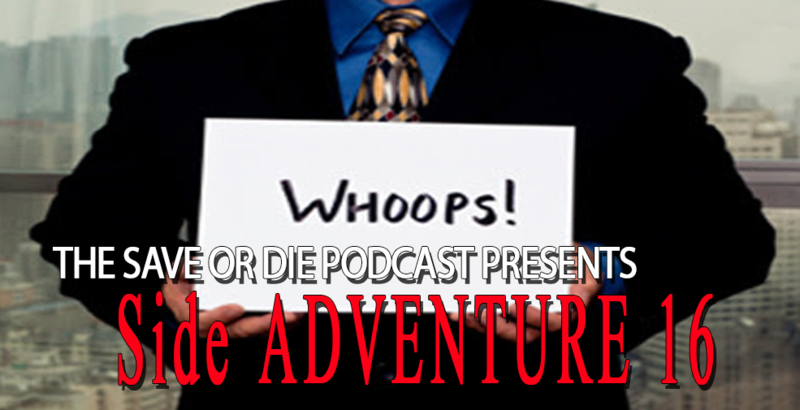 Whoops we are really sorry, some how the last few minutes was cut off the show in the uploading process of #148, and we really don’t know what happened. So we made it into a side adventure so you didn’t have to download the entire show again, BUT just pick up right where you left off! Enjoy!